Beam Steering Technology of the Future. 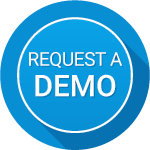 Experts in active and electronically steerable line array systems for speech and music applications. Fohhn's award-winning Focus Series has redefined the concept of sound reinforcement in complex acoustic environments. Equipped with state-of-the art Beam Steering Technology, the systems have been specially designed to offer intelligent, directional coverage of rooms with challenging acoustic conditions. State-of-the-art digital amplifier technology – made in Germany. Equipped with 8/16/24/32 separate amplifier channels and specially developed to allow individual control of each speaker chassis. 100 W path power per channel. Superb sound characteristics and extremely high efficiency levels. Minimum heat generation. Maximum operating reliability. Up to 32 separate DSP channels enabling individual speaker control. Latest DSP processors: 24-Bit AD converter, filter depth 56 Bit, sampling rate / fine tilt control, 96 kHz, latency 0.6 ms. Ultra-fine, precise control in 0.1° steps up to 15 kHz. Integrated, freely-configurable audio devices including parametric EQ, dynamics, delay, noise gate, hi pass / low pass, status monitoring. All settings can be saved as presets. Manufactured especially for Fohhn. Extremely high-performance 4” speakers equipped with the latest neodymium drivers and plastic coated membranes. Excellent reproduction in all frequency ranges – bass, mid and high. Exceptionally powerful top end performance, not normally possible with conventional high-frequency drivers. Fohhn’s high quality aluminum housing is extremely elegant and robust, offering optimum protection for all internal components. Black anodized housing is supplied as standard. Other RAL colors are available on request. This innovative Fohhn development enables two separate beams to be generated in the vertical dispersion range, allowing specific audience areas such as balcony to be targeted by the same line array. Our specially developed digital algorithms can suppress unwanted side lobes. Superb speech and music intelligibility is achieved due to the reduced room reflections. This diagram gives more experienced readers an overview of the functionality. An input signal initially passes through the input section. This has a priority logic that is activated if an evacuation announcement is necessary for example, ensuring maximum safety in any kind of emergency. The input signal also passes though a digital signal processor, which offers a range of opportunities for real-time processing. This is done easily and intuitively using Fohhn Audio Soft software. The “Speaker Setting and Protection DSP” section includes all the necessary acoustic protection mechanisms, such as a finely tuned multiband limiter. Equalizer settings, for the array correction for example, can also be stored. The system is continually optimized to deliver excellent acoustic results and maximum operating reliability, even under difficult conditions. 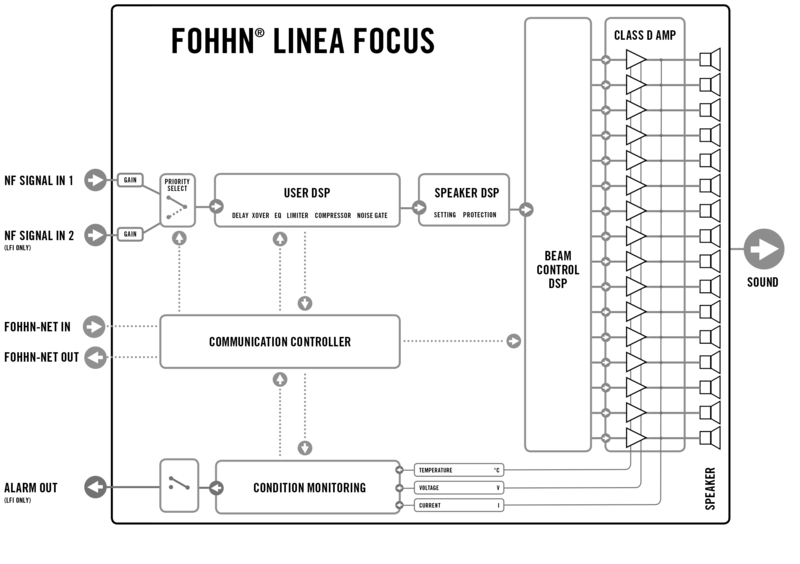 At the heart of the Linea Focus system is the “Beam Control DSP” display, which includes all the algorithms for calculating the beam characteristics. Any parameter changes made by the user in the software are then sent to the Beam Control DSP, which calculates the data and relays the appropriate information to each separate speaker. Each chassis is controlled via an individually calculated signal from its own Class D power amplifier. Constant monitoring of the state of each individual output signal and component, such as temperature, current and load, means that the present operating status is always displayed and can be read by the user. 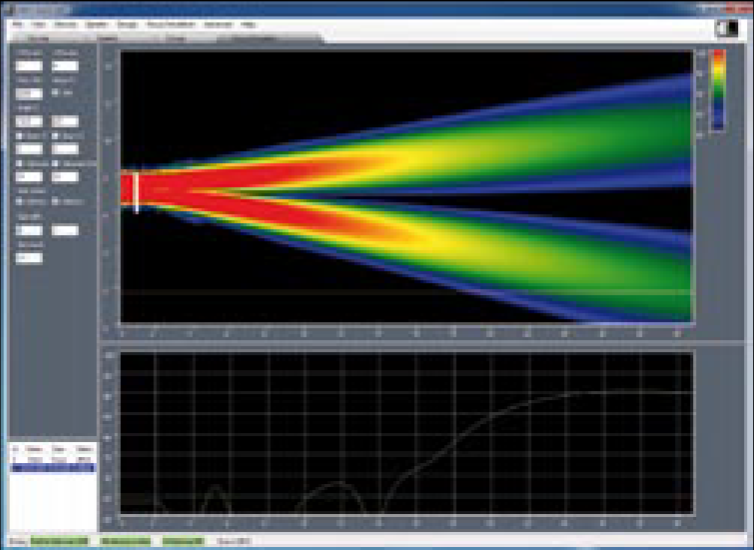 At the heart of Fohhn Audio Soft V4 is the Linea Focus Simulation. The unique integration of control and simulation allows the immediate transfer of parameter settings to the connected devices. All parameter changes made in the simulation window are transferred to the devices in real time. 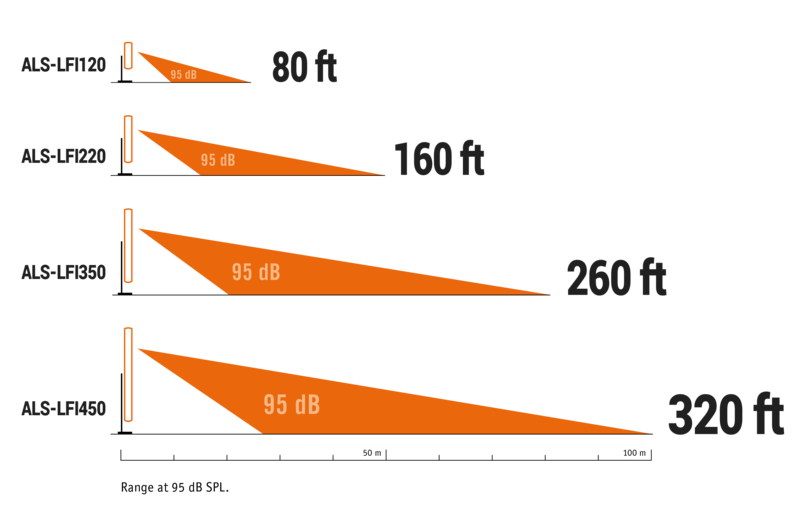 Changes to the sound inclination angle or beam width are instantly audible. 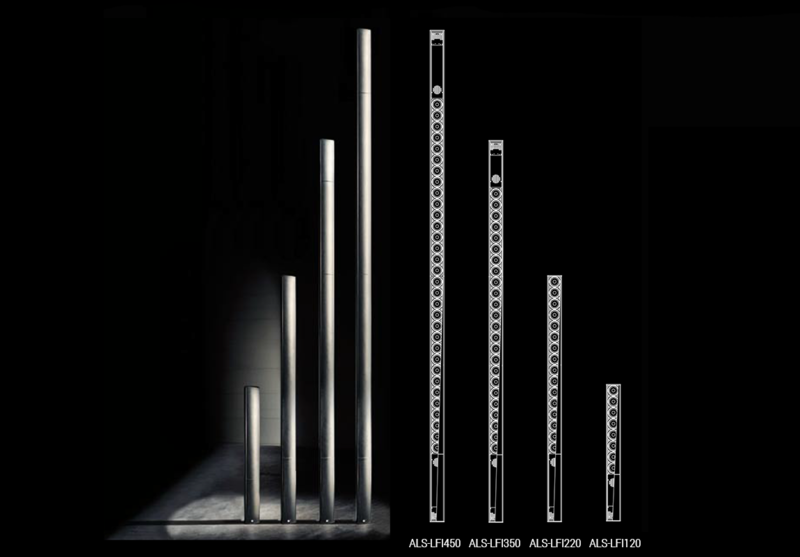 The vertical sound inclination angle can be adjusted between +40°/-40° and the vertical beam width between 0° to 90°. 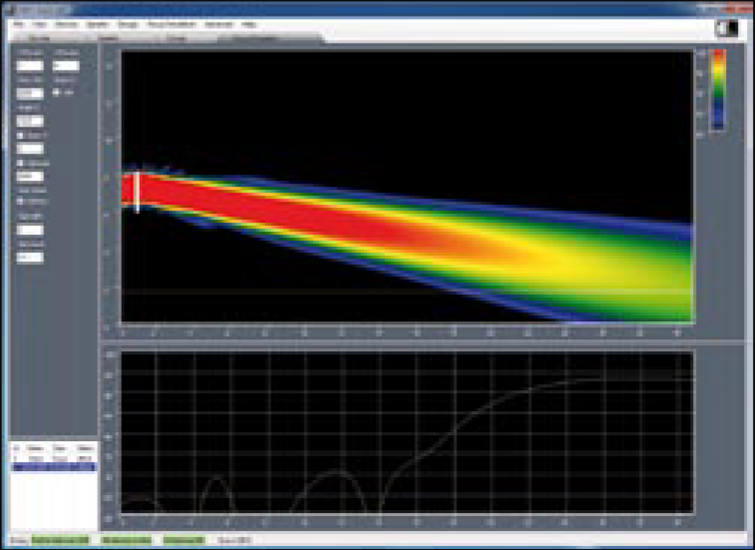 The simulation of the line array’s sound dispersion characteristics lies within a frequency range of 50 Hz – 20 kHz. The spatial distribution of the sound pressure level is displayed in graded colours. The frequency response at any given position, and the sound pressure level for any area of the audience, can be displayed on a graph. 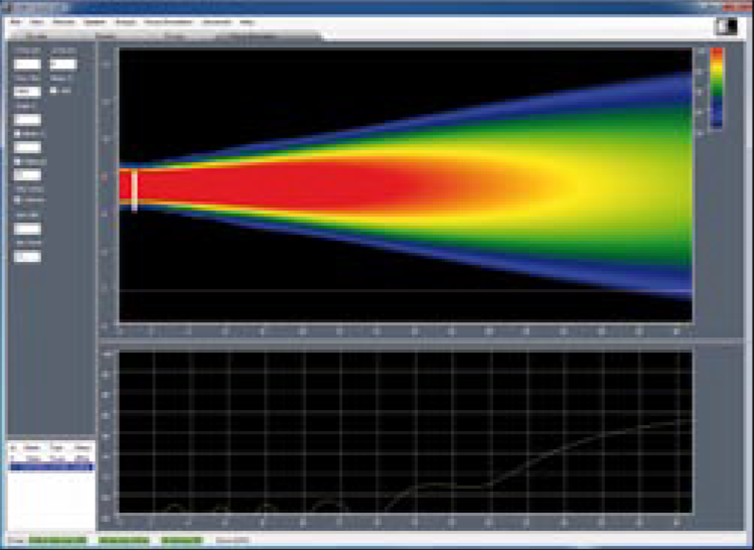 Optimizing the sound dispersion characteristics can always be done in real time. 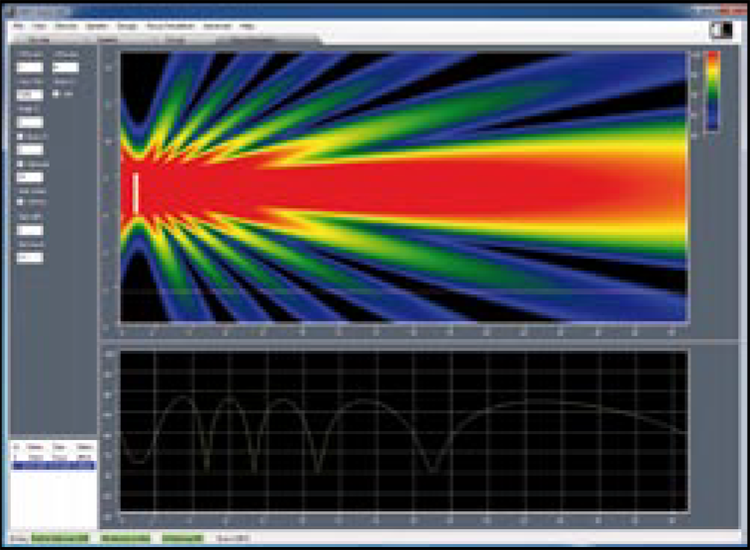 Using a laptop with WLAN lets the user move around, quickly assess and optimize the sound in each part of the room, before comparing it again with the simulation.